Visualizing keyword analysis to discover your search trends, competitive landscape, and marketing opportunities. With billions of search queries in Google every month, retrieving valuable insights is imperative when mounting a digital marketing strategy for your business. To best prepare for an SEO campaign or the launch of a new product, standard market research tools provide an outlook of what keywords your audience is searching, and which ones you should focus on. HexaGroup's proprietary tools are built to uncover the gold mine of keyword data on Google, helping us perform extensive market and keyword research for our clients. Combined with our innovative online marketing methodology, we deliver thorough keyword analysis to guide strategic digital marketing strategies. Unlike other market research and keyword analysis tools on the market, Clustaar allows businesses to uncover and understand their specific keyword universe on a whole other level. Clustaar offers the most sophisticated level of analysis using Google big data for digital marketing strategies by incorporating a revolutionary clustering algorithm and data visualization to provide deeper insights. When developing your digital marketing strategy, Clustaar answers your biggest questions and offers clear guidance in the direction you should take. By grouping keywords into clusters based on common meaning, Clustaar identifies and maps out different topics into a specific digital universe. Clustaar is able to extract valuable insights with powerful semantic analysis and statistical interpretation of data. HexaGroup's balanced combination of search engine expertise and market research skills allows for unparalleled data extraction, processing and analyzing through consistent protocols. 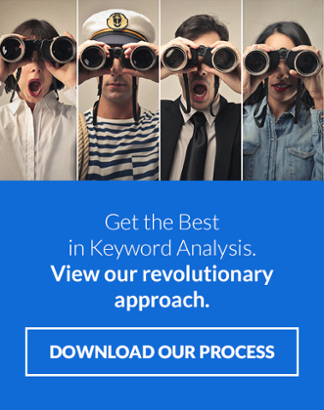 Why HexaGroup's Keyword Analysis and Clustering Algorithm? For more than 20 years in the industry, HexaGroup's expertise in keyword analysis and SEO is augmented using Clustaar's unmatched data visualization to develop targeted digital marketing strategies for every type of client. Our award-winning team of marketing experts deliver deep keyword and audience analysis to locate where you stand among your competitors and missed opportunities. By developing better strategic marketing decisions in-hand with you, we help your business own your digital space spark new leads, drive new growth, and improve your search engine marketing using tools only we can provide.